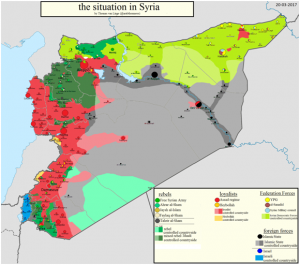 Why Won’t the US Help Syrian Christians Fighting ISIS? The U.S. gives aid to other anti-ISIS fighters, but not Christians. Army Gen. Joseph Votel speaks to reporters Saturday, May 21, 2016 during a secret trip to Syria. 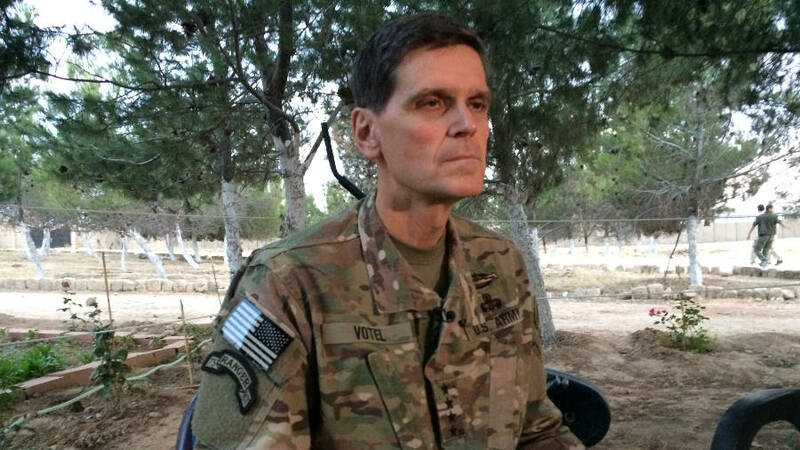 Votel said he is encouraged by progress in building local Syrian Arab and Kurdish forces to fight the Islamic State. It’s no secret that the battle for Raqqa, the ISIS capital, is near. The Syrian Democratic Forces are preparing themselves for what will be a gruelling battle to liberate the city. The Syrian Democratic Forces are an alliance of Kurds, Turkmen, Arabs and Syriac-Assyrian Christians in northern Syria. They fight together against ISIS, with the express support of the U.S. The SDF is the army of the Federation of Northern Syria. I’ve written before about the Federation at The Stream. Unlike most of the Middle East, it offers multi-ethnic governance, real freedom for women and real freedom of religion. It governs an area twice the size of Lebanon with several million people. A crucial move towards the fight for Raqqa happened on March 22. That’s when the U.S. airdropped an entire SDF fighting force at the southern bank of the Euphrates, near the Tabqa town and dam southwest of Raqqa. Soon both Tabqa and the dam over the Euphrates will be taken by the SDF. ISIS was seized by panic. A rumor spread that the dam was about to break and many fled Raqqa. Still many ISIS fighters stayed. They started to dig in even deeper, increasing the prospect of a gruelling battle for Raqqa. The Trump Administration apparently finally concluded that Turkey is of no use for any further anti-ISIS operations in Syria. Regardless of Turkish pressure, the U.S. is sticking with the SDF. That became very clear when U.S. Secretary of State Rex Tillerson visited Turkey and Turkey announced an end to its Euphrates Shield attack on the SDF. One important question remained unanswered. Why is the U.S. singling out the Syrian Christian militias and refusing to arm them? So far, the U.S. has only sent arms to the Arab elements in the SDF. Those forces deserve the help. But so do the Christians. First of all we want to emphasize that it is a simple fact that we as Syriac-Assyrian Christians are a founding member of the SDF via the Syriac Military Council. We have furthermore been in every single operation of the SDF. The fact that we suffered under genocides emphasizes the need for delivery of military equipment. If we are weak, we are a target of the extremist forces that the SDF is fighting against. We will be part of any operation against Raqqa, regardless of our current level of military equipment. We cannot imagine that the U.S. would deliberately want us to be more poorly equipped then our Arab partners when we go into that big battle. We thank the US for the air support given in crucial battles and the support to the SDF. We also hope that this is an opportunity to work together for the long-term security and freedom of our people and all the peoples of the region. The statement is a challenge to the Trump administration. Trump has (rightly) emphasized the need to protect Christians and to act against persecution. Syria’s Christians don’t ask for U.S. troops. They ask for equal treatment. They need the arms to protect themselves against ISIS, just like their neighbors. In fact they would like to have the same right as Christians in the U.S. — who also have the equal right of self-protection as their fellow citizens, thanks to the Second Amendment. The crucial question is whether Christians in the U.S. will stand up. Will they ask the Trump Administration to treat Syria’s Christians equally? Or will they allow their brothers and sisters to be more easily killed by ISIS? 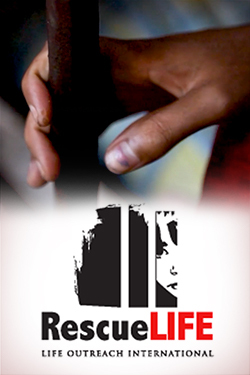 Will U.S. Christians lobby Congress, Senate and White House to set this injustice right? Or will they allow brothers and sisters to be left without protection? Do they imagine that Christians in the Middle East do not need to protect themselves against jihadists? This is an urgent question as the battle for Raqqa will commence very soon. Syriac-Assyrian Christians in northern Syria are now treated equally by their fellow citizens fighting ISIS. The question is if Christians in the U.S. will do the same. The answer will determine if Syria’s Christians have a reliable ally in American Christians and a strong voice in the post-ISIS settlement of Syria. With careful statesmanship, this may offer Mr. Trump an opportunity to respond to Assad’s use of chemical weapons. Let us pray to this end.